L. E. Hewitt has will be signing books in person at the Indiana Christmas Gift and Hobby show at the Indiana State Fairgrounds in Indianapolis from 3pm-9pm. L. E. Hewitt currently resides in Indianapolis, Indiana. 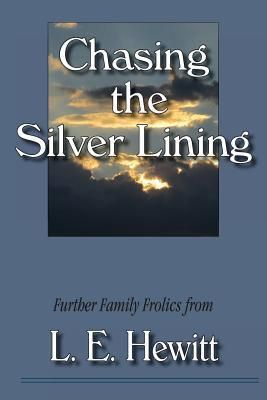 His third book, "Chasing the Silver Lining" is due to be released in the coming months. His stories of life, love, family,and laughter are meant to make you laugh and make you cry. He simply has a way with turning normal, everyday events into the unforgettable. 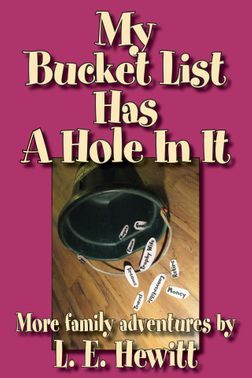 Through the telling of his own personal true stories, he causes the reader to reflect upon their own life in a new and uniquely positive way. His captivating style will win you over and make you a fan. L.E. 's latest book is due out late 2014. This edition see the children finish growing and head off to college. It also sees Sally disappear from his life. This book also takes us through a stroke. Major life changes all confronted with an open and positive spirit. The reader will meet a few new characters and will be entertained by the latest antics of FuzzButt. The reader should be prepared for a great journey of emotions that, in the end, will leave them feeling better about the world we live in. Be sure to visit the Blog page often for Lynn's daily observations about this wonderfully funny world we live in. L. E. Hewitt is a single father of three who grew up in a poor coal mining region of Pennsylvania. He left the area in his early twenties to pursue his dreams in music. He traveled extensively before settling in Nashville, Tennessee for many years. During this time, L. E. discovered that he enjoyed writing about the people and places he encountered. He also discovered that friends enjoyed reading his stories. Thus a new career was born. Currently residing in Indiana, he continues to write and pursue dreams. Life is, for the most part, a great mystery. It is full of big questions. Why are we here? Where did all of thiscome from? What happens after this? Although these are important and profound questions, none of them will be answered in these pages. But you will learn some important things from half-a-life of experience. Have you ever tried peanut butter and pickles? Did you know that you are not allowed to swing if you poop on the fl oor? Have you ever tried to embarrass your children by wearing bicycle pants? The stories in these pages weave a multi-colored tapestry of joys and sorrows. Readers will discover tales that are uplifting, nostalgic, humorous, and sometimes thought-provoking. All are true. All are meant to make you smile. Some will encourage the reader to refl ect on life between the raindrops. May you be inspired as well as entertained by this wonderful group of characters and their stories. http://www.rockpublishing.com/Raindrops.htm or http://search.barnesandnoble.com/Life-between-the-Raindrops/L-E-Hewitt/e/9781596636590/?itm=1 or through your favorite bookseller worldwide. 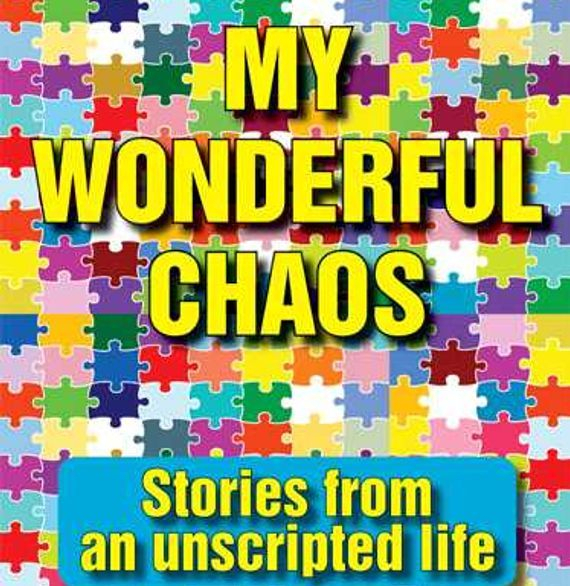 Full of even more heartwarming and humorous moments from a well-lived life, My Wonderful Chaos is a collection of stories about family and friends and the good stuff. Readers will be transported to a world quite different from the norm. It is, however, a world full of love, laughter, family, and gifts left on the floor by the old dog. The good, the bad, and the absolutely impossible to explain make this book a unique and entertaining read.